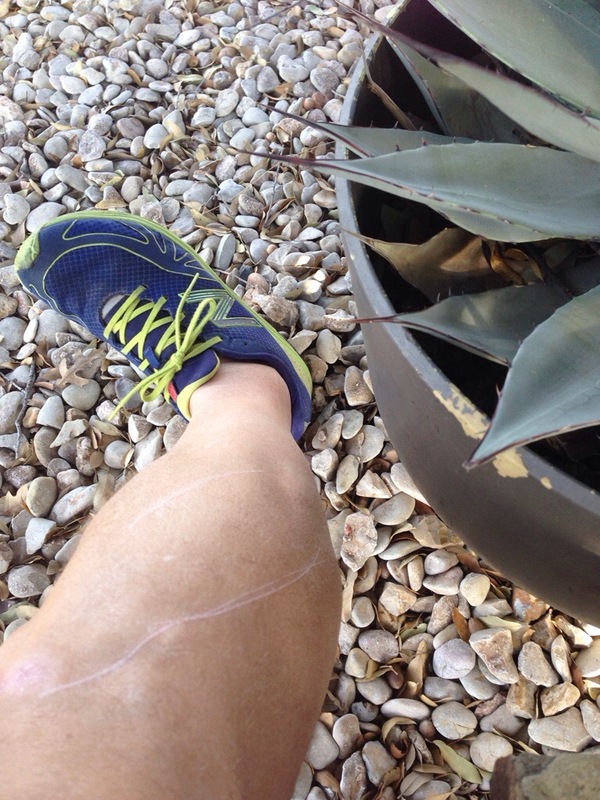 So you’re out on a brutal cactus-laden trail run and you get ambushed by a cactus. OK, so you’re sitting on a bench watching your dad walk down the street with his physical therapist. It’s still plenty dangerous. And then disaster strikes. 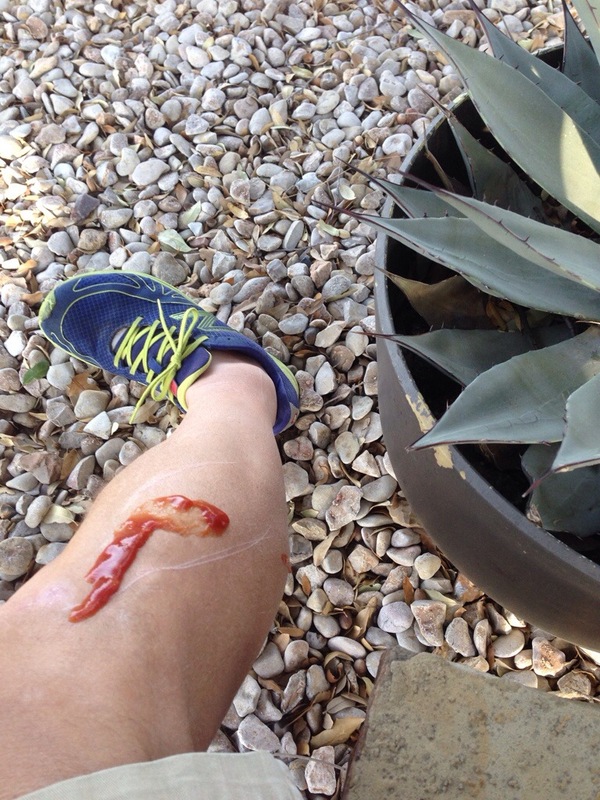 You are attacked by the cactus, leaving a gruesome scratch. Are your peeps, a motley pack of trail bums, impressed? What to do? Mr. Pants advises a quick visit from your pal Mr. Heinz. The result: A gaping gash worthy of trail respect. Or at least a few french dries to dip. Upside: You’re instantly a Cool Kid. Downside: On the run later in the afternoon, your leg smells like catsup. You spend the entire run wonder whether dogs like turkey legs with catsup. Upside: Dog bite will look like wolf attack. More trail cred. Running is easier than you would think.